Lascaux will soon sunset Mixel, the iPad app for creating and transforming visual art. 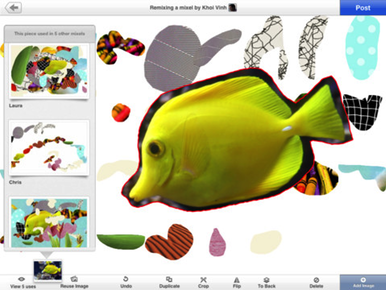 Mixel first launched in late 2010, and a collaborative community of creators quickly formed around the app. The app made quick work of creating collages, and then allowed anyone to remix and transform collages made by others. The app was free. Vinh explained to Macworld that, “Like a lot of social networks, we were going for scale, so we really wanted to hit a critical mass—millions, even many millions, of users—and we didn’t really get there.” Without that scale, continuing to pour effort into updating and maintaining Mixel and its network drained resources that Lascaux would rather pour into a new app that Vinh promises is coming soon. Once the Mixel network shuts down in September, the app will no longer function at all, the company says. When that happens, the webpages for each mixel will vanish as well.